A rail accessibility campaigner and a representative for passengers at Harpenden both highlighted the personal impact of disruption caused by unready timetables in northern England and on Govia Thameslink Railway, when they appeared at the Transport Select Committee’s inquiry into rail timetable changes on September 5. Emily Ketchin, of Harpenden Thameslink Commuters, explained the impacts the disruption has had: “There is the obvious financial impact of extra childcare costs and taxis. We know that people have left their work in London because they feel the commute is not viable. It also has an adverse impact on businesses. 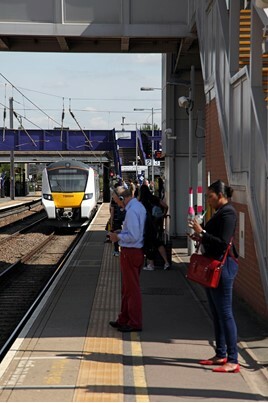 “The St Albans business improvement district survey showed that 82% of businesses surveyed locally felt that the problems with the trains directly affected their businesses. There has been a significant health and safety impact, particularly affecting commuters from Harpenden. “In light of the changes that have been made to Harpenden trains, we are now forced to change at St Albans, and St Albans is not designed as an interchange station. There is significant confusion. “A couple of days after the May timetable was introduced, there was an accident at Harpenden station, and there were no trains for 30 minutes. There was a platform alteration. People were running to get on to the trains and a gentleman tripped over. He took out another passenger and an ambulance had to be called. There is an obvious health and safety impact." For the FULL story, read RAIL 862, out now.